No matter what type of climate you live in, weatherproofing your front door is essential. If it’s hot in your area, you can keep the inside cooler, if it’s cold, keep it warmer. Weatherproofing or door weatherization is not only about stopping the rain from coming into your home. It is essential for a number of other reasons such as to help control the temperature inside your home, lower energy costs, remove draughts, and drastically increase your overall comfort. Let’s take a closer look at what door weatherization is, signs you need it, and why it’s so important. What does door weatherization entail? It involves a set of tasks; it’s not just about adding some weather stripping and thinking your problems are solved. 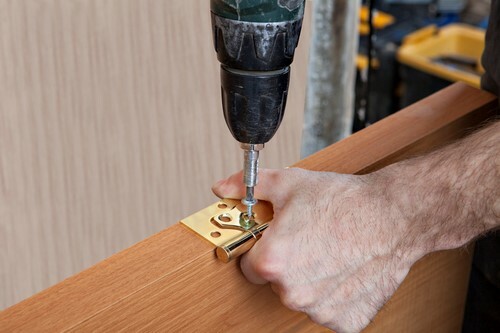 The following are involved to ensure your door is really able to completely seal your home. Although these tasks may seem like something that can easily be done on your own, to do them properly – especially the replacement or adjustment of thresholds – requires the service of professionals. Not only will you have peace of mind that the job will be done correctly the first time, but also that the professional will use the right products throughout the process. As a result, a tight seal is ensured, keeping heat in and cold out! Another way to check seals is by using the candle test. Either use a candle or a lighter and move slowly around the frame of the door. If the flame is affected by a draft, it will start to flicker vigorously – a sure sign that air is rushing into your home. Remember, if you are unsure, you can always call in a professional! Weatherization on all the doors in your home is one of the most important pre-winter tasks you can perform. Why? Well, it’s simple really. If you aren’t sure who to call, Doors of Elegance provides all the weatherization service you need for the doors in your home. At Doors of Elegance, our professional weatherization service professional will check your doors thoroughly, even for the smallest of draft entry points. We can provide weatherization services that are difficult to do at home such as replacing the door threshold or adjusting strike plates. Our staff is composed of experts and we ensure your doors are in good shape by the time we leave. All you have to do is give us a call and we will take care of the rest. Contact us today for a free estimate and ensure your doors keep your home cozy and warm this holiday season!